First: here’s a picture of my badge from AnomalyCon! Even has my name on it and everything. 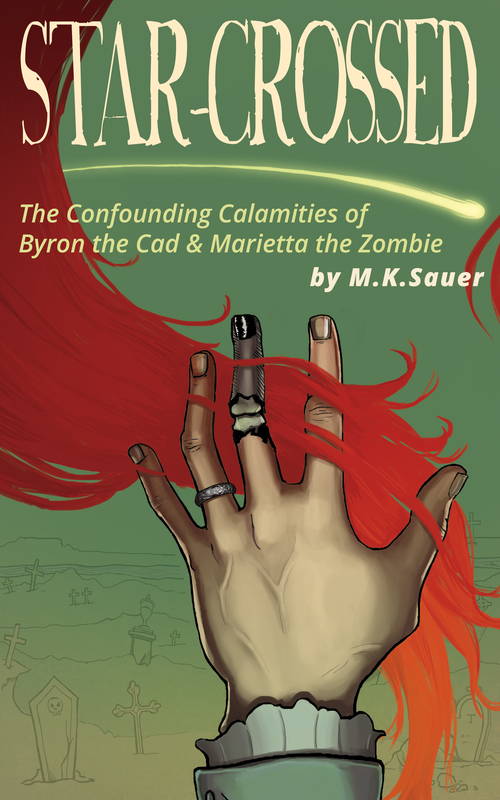 Second: Progress update on the STEAMPUNK ZOMBIES novel. I know. It seems like a few blog posts ago (err…just one, actually) that I was debating whether or not to self-publish and then, BLAM-O, I’m self-publishing. So, let’s recap as to my steps, shall we? I like the freedom that comes with self-publishing, though I am still very worried about not being seen as a legitimate writer or a writer of any worth–given that there’s so much bunk out there in the self-published world. I’m hoping that this will a) get my name out there and b) allow me to hone my craft in such as way as fits my schedule. The end goal is to write and then publish a novel every 2-3 years and pretty soon I’ll have a large enough portfolio that I’ll either get noticed by a publishing house or I won’t even have to worry about such things anymore. I’ve decided to go through Amazon Kindle Direct Publishing for the e-books and IngramSpark for print books. From what I understand, KDP has an option where you publish through them for a certain period of time (90 days or something?) and then you’re free to publish on all other platforms, including Kobo, Nook, Smashwords, and Bookbaby. IngramSpark for the print books because it seems like a really quality company that’ll produce a good product. (Other options are Lightning Source and Lulu.) Here’s an interesting article comparing IngramSpark and Lightning Source from a few years ago that helped me with my decision. I’m also toying around with giving people ARCs (advanced reader copies) on sites like Goodreads and the like, but that might be a bit much for my busy work schedule as of now. Also, I’m going to have to get some ISBNs so that my book will have the same ISBN number, or at least reference the same number, so I can get tracking and sales info across all formats. This part I’m a wee bit wobbly on, so my usual inclination is just to jump right in and see what happens. As it is right now, I’m waiting on my editors to get back my second draft to me and then enact their changes. I’m thinking I might send out copies to close friends to read for last minute errors and then KABOOM, it’ll be a little published baby. This past weekend I was at a booth with my good friend Stevie (she steams art online at Twitch) selling her fantastic prints and commissions of AnomalyCon goers! 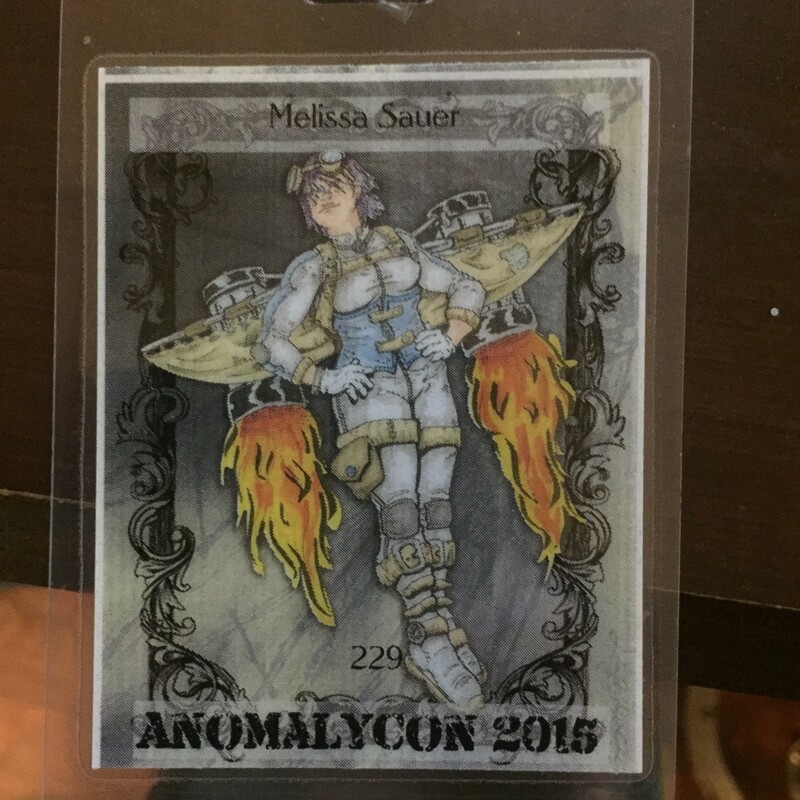 AnomalyCon is a steampunk (ohemgee, amirite?) and sci-fi convention, so, of course, we fit right in. If you’re here because you got one of my business cards, HELLO. KEEP ON CHECKING HERE FOR UPDATES AND PURCHASING INFO.